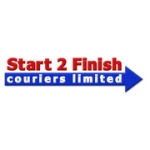 Start 2 Finish Couriers Limited are a sameday courier and light haulage company based in the West Midlands, within 4 miles of the M5, M6 and M42 motorway networks. We have been providing same day deliveries using dedicated vehicles throughout the UK for many years, and through our experience, we are able to provide a first class service for all of our clients. 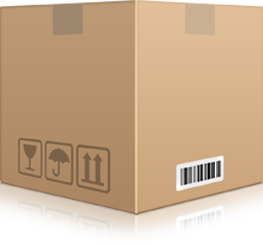 With a network of approved couriers nationwide we can usually collect anywhere on mainland UK within the hour and deliver nationwide. We pride ourselves with providing a premium service at competitive rates. Start 2 Finish Couriers Limited ADR / Hazardous Goods Licenses ensures the safe and legal transport by road of all classes of Hazardous Goods including, IBC's, Drums, Bagged Items and Containers. As carriers we provide Instructions in Writing, in compliance with ADR 2009. We have our own Dangerous Goods Safety Advisor and we are members ofthe Goods of High Consequence Scheme. 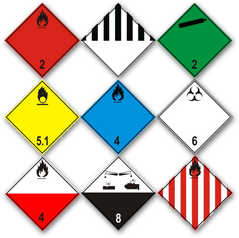 Dangerous Goods notes can be completed on your behalf for your approval and signature. 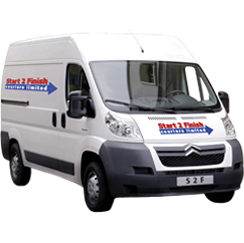 Start2Finish Couriers are fully proficient and insured for the Transport of ADR / Hazardous Goods with a selection of vehicles from Small Vans up to Artics including tail lift facilities, all your requirements are covered. Should you need a Courier who can handle your Industrial Waste please contact us. Start 2 Finish Couriers Limited are Environment Agency Registered Waste Carriers. Waste Carrier Registration number: CB/QM3183PJ. 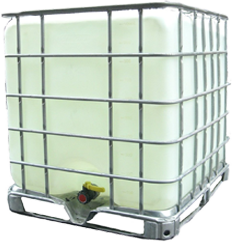 Start2Finish Couriers can handle the following on your behalf such as clinical waste, catalysed sludge, confidential documentation transfer for destruction, bagged items, drums and IBCs for washing. Should you need a courier who can handle your industrial or clinical waste, please contact us using the free phone number. Start 2 Finish Couriers offer the following sameday delivery services such as dedicated Nationwide collections/deliveries, dedicted Europeon collections/deliveries, time critical deliveries, overnight deliveries, legal documents, tenders, medical supplies, medical samples, palletised freight, fragile goods, engineering goods, electrical goods and ADR goods. We have been using Start 2 Finish for several years and we can honestly say they have never let us down !!! both Vic and all his other drivers, when asked, have arrived on time for both collections and deliveries, we would recommend Start 2 Finish to anybody !!! Helen @ Andover Precision Limited. We have used Start 2 Finish Couriers for our urgent sameday deliveries since 2005, collections and deliveries are always on time, I would highly recommend their services.